The CRAIC QDI 2010 Microspectrophotometer combines the latest technologies to allow the user to measure UV-visible-NIR range transmission, absorbance, reflectance, emission, and fluorescence spectra of samples ranging from the sub-micron to well over 100 microns across. 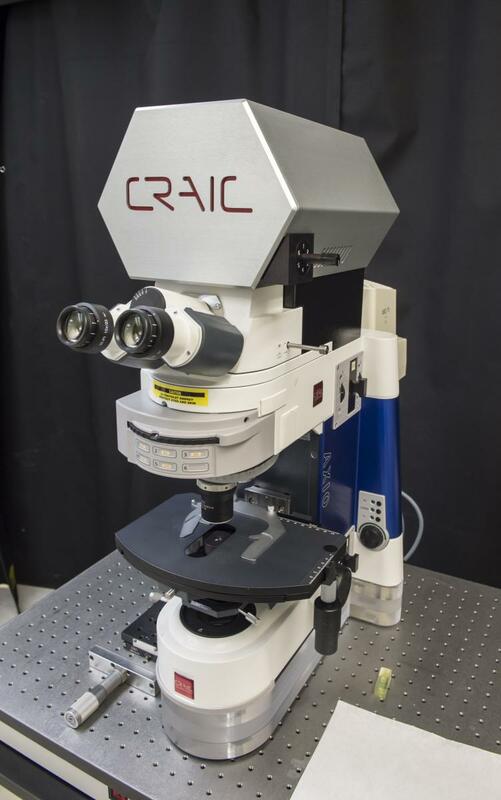 As microscale spectra are being acquired, the sample may be simultaneously viewed with a high-resolution digital imaging system or through eyepieces with the DirecVu package and research grade microscope optics. Deep UV and NIR digital imaging are new capabilities for this instrument. …………………………………………………………………………………………………………………………………………………………………………………………………………………………….. Deep UV to NIR microspectroscopy and imaging. Reserve this tool with the FOM.